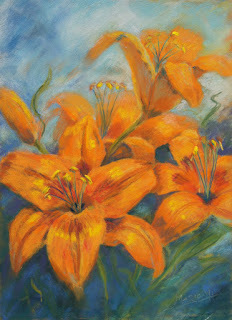 I love this orange lily. I grow it in pots on the patio, and each year up it pops. It needs no attention and always gives a good show.